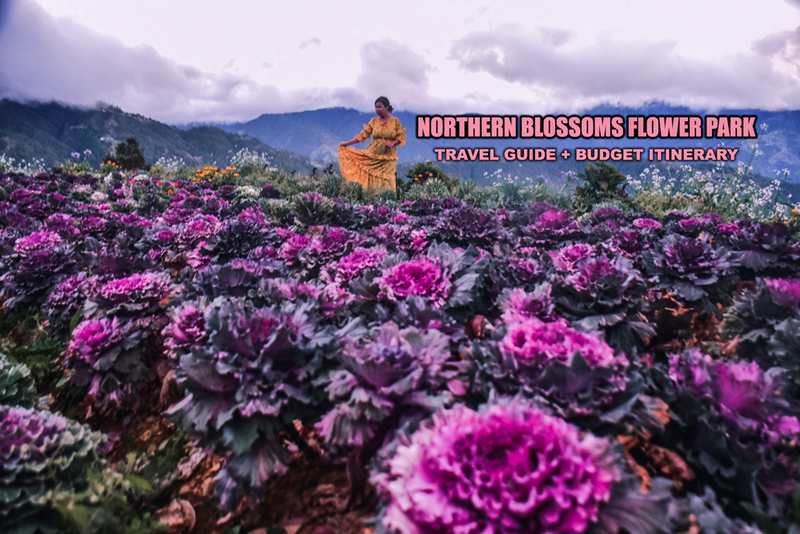 This is a detailed travel guide of Northern Blossoms Flower Farm in Atok, Benguet with sample itinerary and budget. 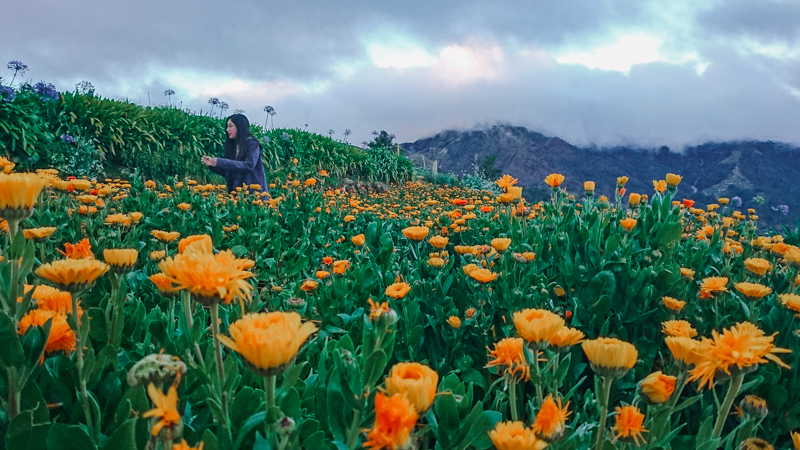 The Northern Blossoms Flower Farm has recently been hyped by social media, which led to new opportunities for the locals here. Homestays are starting to sprout, and locals are being trained as guides. Other areas of Atok are slowly being discovered by tourists through tour packages offered by Brgy. Sayangan. I was lucky enough to visit the Northern Blossoms Flower Farm a few years back before it became popular. But I never really got to blog about it. 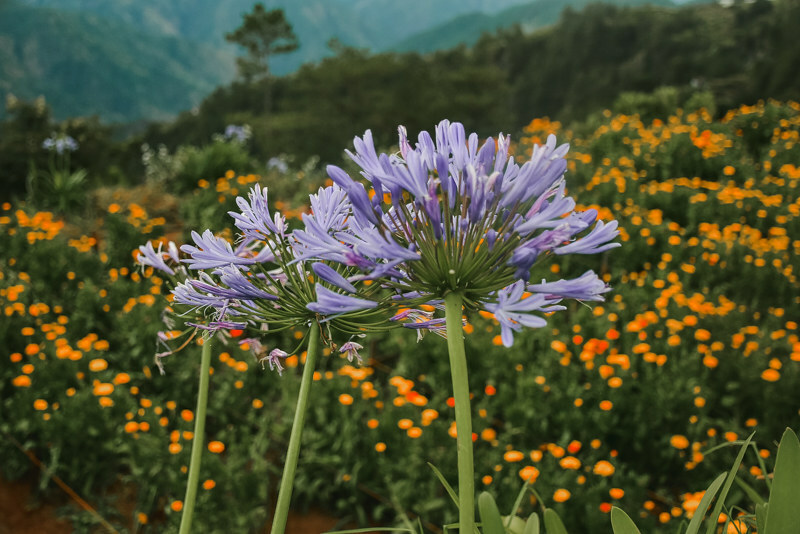 Recently, I had this urge to visit Benguet again, one of my favorite provinces in the Philippines. 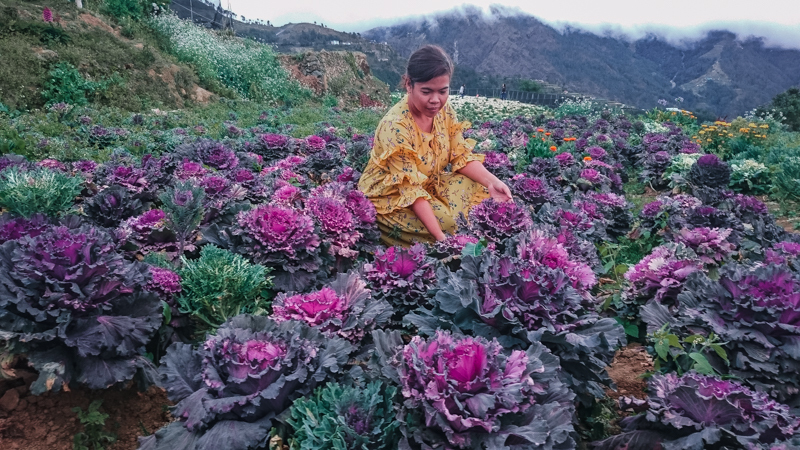 And I decided to start my exploration of this region by traveling to the Northern Blossoms Flower Farm, which is blissfully located in Brgy.Sayangan in Atok, Benguet. Northern Blossoms Flower Farm is owned by Mrs. Melany “Lany” Ganayan and her husband. They also have a flower shop in Dimasalang, Manila. 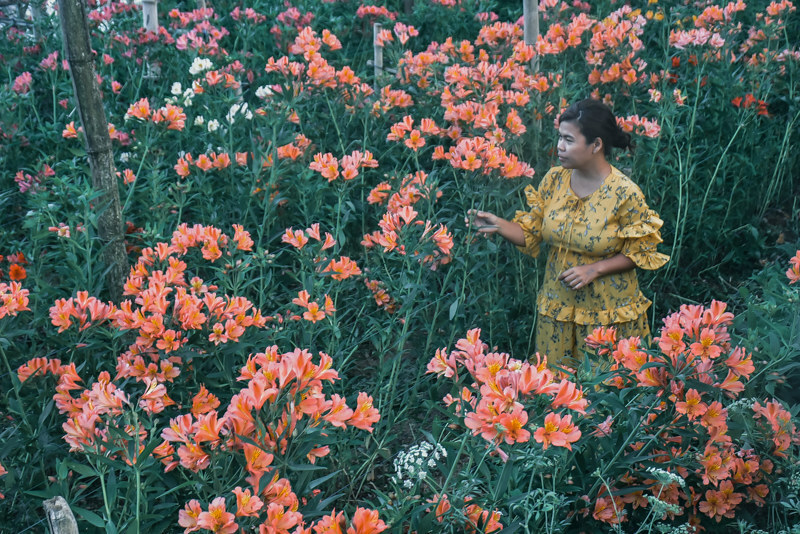 The flower farm is peppered with flowers, such as different colors of snapdragons, larkspurs, rice flower, matthiola, cabbage roses, and more. At first sight, it may not look like the images you see in social media as there are flowers planted in their green house. But try to explore around and you’ll find some Instagram-worthy spots. You can even see Mt.Pulag and Mt.Timbak from a distance. 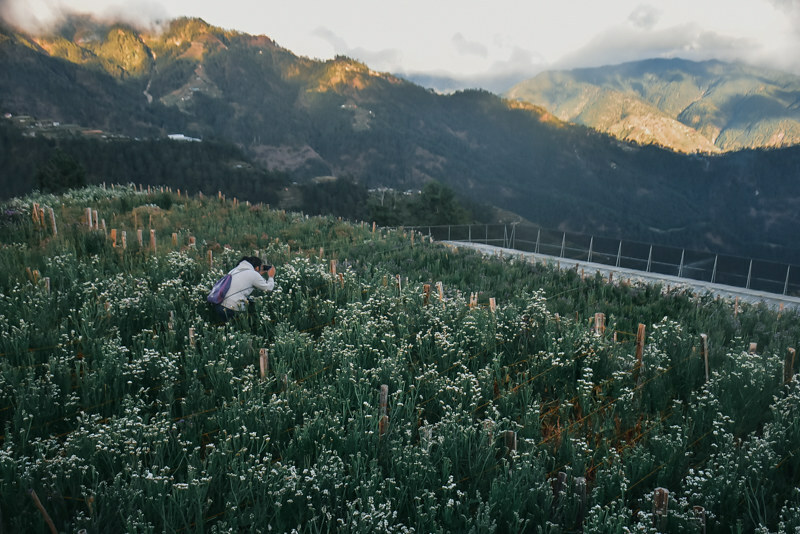 The flower farm is draped by pine-fringed mountains and vegetable farms. I also recommend doing the Circuit B tour at sunrise, which is being offered by Brgy.Sayangan tourism for a reasonable price (see below), so you’ll get to visit other tourist destinations in Atok. 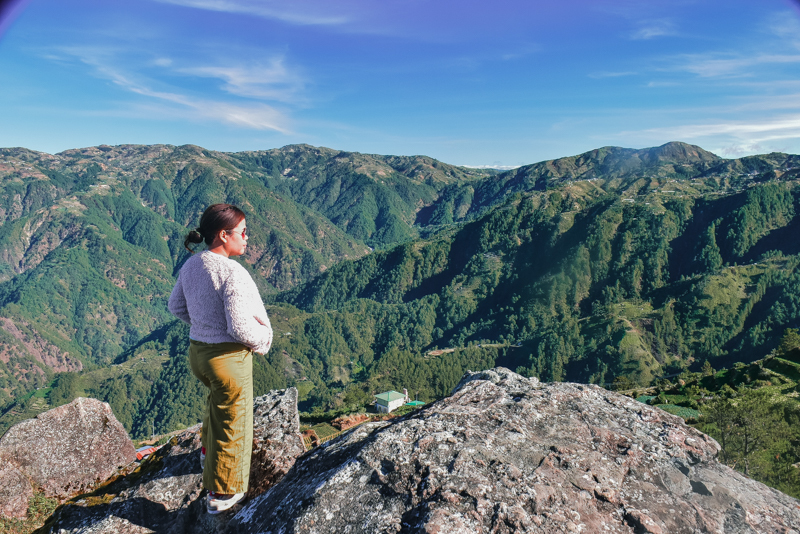 I’ve been to a couple of places in the country, and this part of Benguet remains one of the most beautiful I’ve seen. 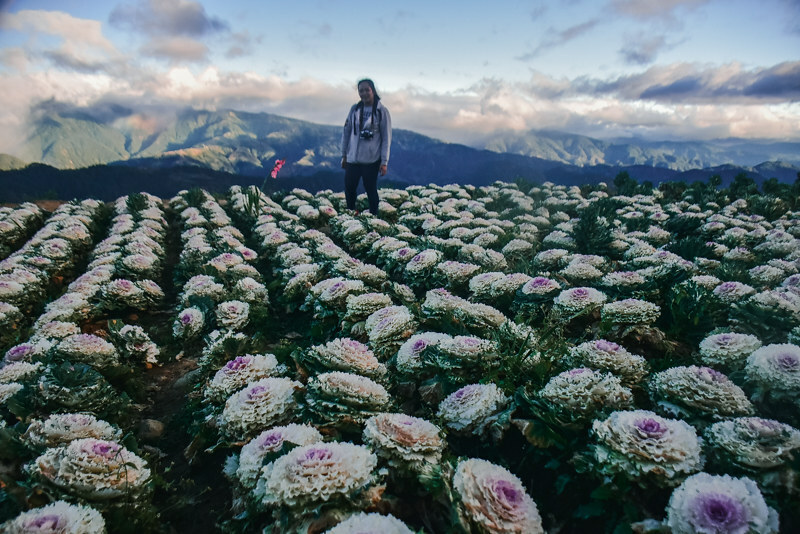 WHEN IS THE BEST TIME TO VISIT NORTHERN BLOSSOMS FARM : January to April are the best months to visit the Northern Blossom Flower Farm when the cabbage roses are in full bloom. The flowers and cabbages take about 3 months to bloom, according to our guide. The best time to visit is around sunrise. So, if you want to witness the sunrise, stay overnight. MOBILE AND WI-FI SIGNAL: There’s Globe, Smart, and Suncellular in the area. Data is available for Globe, but quite intermittent. Restaurants and homestays don’t have Wi-Fi. MODE OF PAYMENT and ATM: Everything is on cash basis so stack up cash before leaving Baguio. There’s no ATM in Atok, but they have the Easy Debit – a micro ATM at the store beside Palawan Express. Jacket – Temperature in Atok can go as low as – 8 degrees Celsius. Socks and hiking Shoes – Wear closed shoes and socks. It‘s quite cold here. Gloves – Gloves can be quite helpful to keep your hands warm. Hiking Pants – If you plan to explore more of Atok, Benguet, best to wear hiking pants. 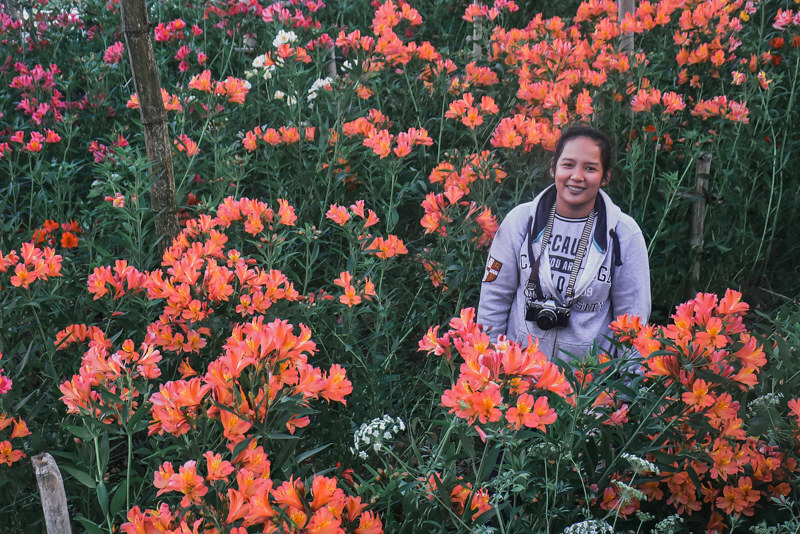 To get to Northern Blossoms Flower Farm in Atok, Benguet, you have to make your way first to Baguio. Then at Baguio, ride a bus that will pass by Atok, Benguet. See more details below. 1.From Manila, take a bus bound for Baguio. Victory Liner has buses to Baguio from Cubao and Pasay. Alternatively, you may also take Genesis Bus or Joy Bus to Baguio. *If you are traveling on a Friday night or over the weekend via Victory Liner, make sure you buy your ticket in advance as the line can get pretty long. It took us 2.5 hours as chance passenger to ride the bus to Baguio. Otherwise, go to the other bus companies like Genesis and Joy Bus, they also have terminals in Cubao and Pasay. In Baguio, make your way to Dangwa Bus Terminal or Slaughterhouse. We took a taxi for roughly PHP 70 ($1.32,EURO 1.17,SGD 2,MYR 5)from Victory Liner Baguio to Dangwa Bus Terminal. You can take any of the buses bound for Bontoc, Besao or Sagada. *Trip schedule is subject to change without prior notice. IMPORTANT: Take note that the last trip from Besao to Sagada is at 1:00 PM. So, if you plan to make a day trip only, make sure you return on or before 1:00 PM. Otherwise, you can take a passenger van (UV Express) to Baguio, their terminal is located at Marosan’s Restaurant. 3.Buy ticket at the counter. Tell the staff you will be heading to Northern Blossoms in Atok, Benguet. Fare is PHP 85 ($2,EURO 1.42,SGD 2,MYR 7) for aircon bus or PHP 75 ($1.42,EURO 1.26,SGD 1.23,MYR 6) for non-aircon bus. Travel time is about 1 hour and 30 minutes. 4.Get off at Brgy.Sayangan, Atok, Benguet. The driver should drop you off at Atok Municipal Hall or in front of Marosan’s Restaurant. 5.Register and pay the fee at Brgy.Sayangan Tourism. Walk towards the small street uphill beside Marosan’s Restaurant. Pay the PHP 20 ($0.38,EURO 0.33, SGD0.52, MYR1.57) per person environmental fee. It’s important to register so that in case something happens (knock on wood) the logbook can confirm that you are in the area. 6.Head to Northern Blossoms Flower Farm. From Brgy.Sayangan Tourism registration hut, you can walk to Northern Blossoms. 7.Pay the entrance fee at Northern Blossoms Farm. There is a PHP 200 ($4,EURO 3,SGD 5,MYR 16) per person entrance fee. This includes a free bread and unlimited coffee. You may also hire a guide, there’s no fixed fee, you can just give whatever amount you want. We paid our guide PHP 300. The guide will explain the type of flowers and can take your photos if needed. You can visit other tourist spots in Atok, Benguet via tour package or DIY travel. 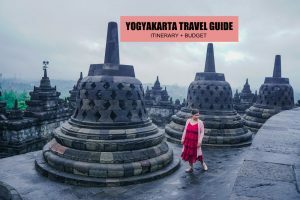 If you are pressed for time, the tour package is very convenient as the tourist spots here are quite a distance from each other and requires a couple of minutes of walking/hiking. Not to mention that you have to wait for the buses bound for Sagada or Bontoc to pass by. Brgy.Sayangan actually offers affordable tour packages. Contact Madz at +63 930 1604 886. There are 3 homestays in Brgy.Sayangan. The biggest and the most popular is the one in Northern Blossoms Flower Farm, but book ahead especially if you are visiting during the weekend or holiday. The other 2 homestays in the area offers rooms at PHP 500 ($9,EURO 8,SGD 1,MYR 39) per person. We’ve tried 2 restaurants in Brgy.Sayangan, Atok, Benguet. They both have large servings. Meal starts at PHP 110 ($2,EURO 2,SGD 3,MYR 8) per serving. If you only plan to visit the Northern Blossoms Flower Farm as day trip, that’s possible. You can stay in Baguio where accommodations are plenty. Here’s a sample day tour itinerary with budget breakdown. 07:00 AM Bus to Atok. 08:30 AM ETA Brgy.Sayangan in Atok. 09:30 AM Start of tour + photo op at the flower farm. 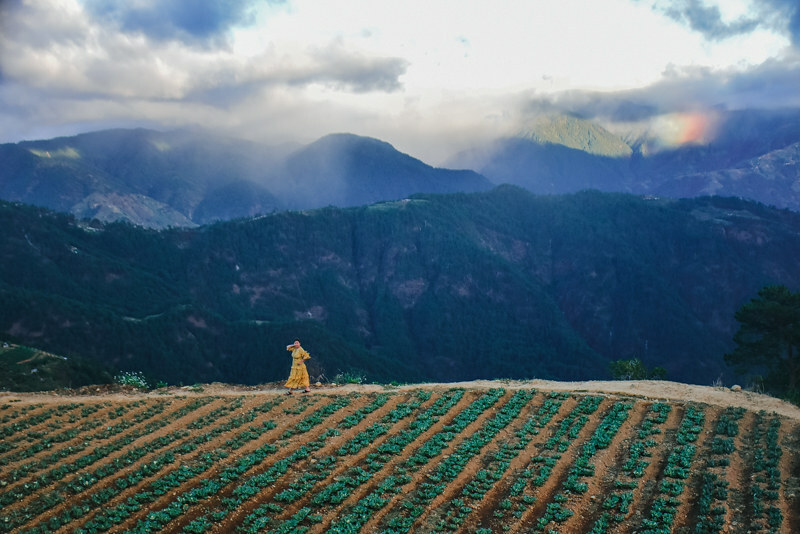 Here’s a sample itinerary if you’ll be doing an overnight tour in Atok, Benguet. 2 days 1-night stay would be enough. This sample itinerary includes a trip to Northern Blossoms Flower Park, Mt.Timbak, Lourdes Grotto, and Sakura Park. The Sakura Park is optional since there’s no cherry blossoms yet. The trees are still quite small. 01:00 PM Bus to Atok. 02:30 PM ETA Brgy.Sayangan in Atok. 05:30 PM End of tour. Back to homestay. 07:00 AM ETD Halsema Highway. Highest Point in Atok. 10:00 AM ETD Atok, Benguet. 10:30 AM End of tour. Back to homestay. 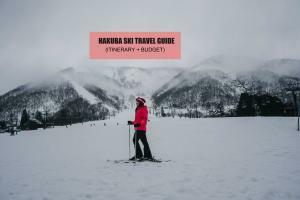 *The PHP 3,942 expenses is the estimated budget if you are traveling solo since you have to shoulder the PHP 1,500 tour. If you are a party of 2, prepare around PHP 3,192 per person. If group of 5, around PHP 2,742 per person. Here’s a sample list of expenses for a trip to Northern Blossoms Flower Farm including a trip around Atok. Flying of drone is not allowed in Northern Blossoms Flower Farm, they told me this is because the lands surrounding it are ancestral lands. But, the guides and locals in Atok also told me that it is allowed for prenups photoshoot, because apparently there is a fee of around PHP 2,000 per 3 hours or something for drone-use for prenups. There’s no bank ATM in the area, stack up cash before leaving Baguio. But if you really need cash, there is an alternative – the Easy Debit, a Micro ATM. You can find it at the store beside Palawan Express. Practice Leave No Trace principles here. I saw a bottle of water inserted on one of the cabbages in the farm. You’re just a visitor in their place, please, show some respect. Do not leave your trash anywhere! Respect the local culture. The people of Atok are genuinely warm, helpful and hospitable, please respect their culture and avoid making too much noise. If you plan to stay overnight, you can bring your own heater as some guesthouse doesn’t have a heater. Otherwise, you can boil the water using a kettle. Buy your bus ticket to Baguio in advance as the line can get pretty long over the weekend, holiday, or Friday night. You can also purchase plants from Northern Blossoms Flower Farm, for example, the cabbage is worth around PHP 100 per piece, and the succulents starts at PHP 30. Prices of succulents are cheaper in other vendors outside Northern Blossoms Flower Farm – PHP 20 per plant.